Generous Donors Sponsor Residents’ Day Out! Splashing and playing in the sea! A group of thirty-eight Banyan residents were recently surprised with a full-day outing at the beach. It all started when a bus pulled up outside Adaikalam promptly at 11am. The residents, feeling a mixture of excitement and surprise, hopped on-board, ready to experience an eventful day! 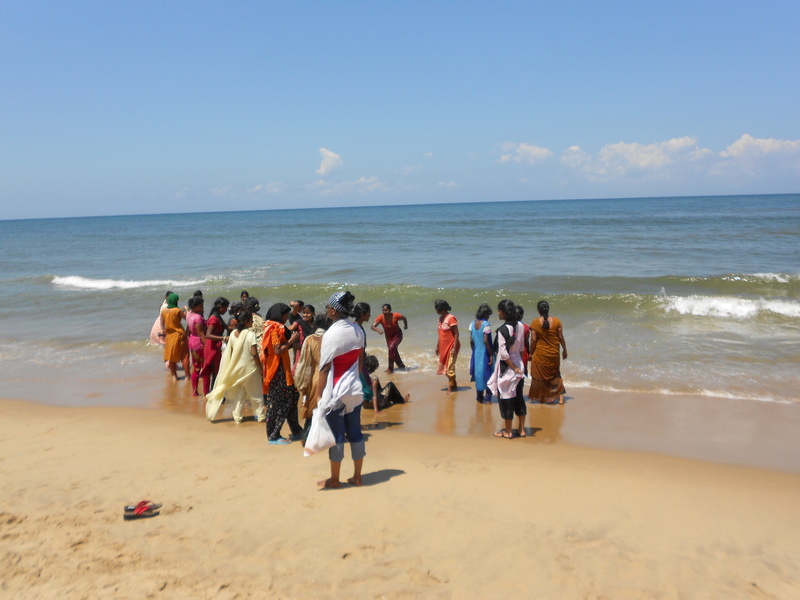 Although the journey to Kovalam beach was a long and bumpy ride, it proved to be well worth the trip! No beach trip can be complete without splashes! And so, upon arriving at the beach, the ladies played in the water, splashing each other joyfully. Their energy did not seem to dwindle over time, as they started a dynamic game of kabadi. 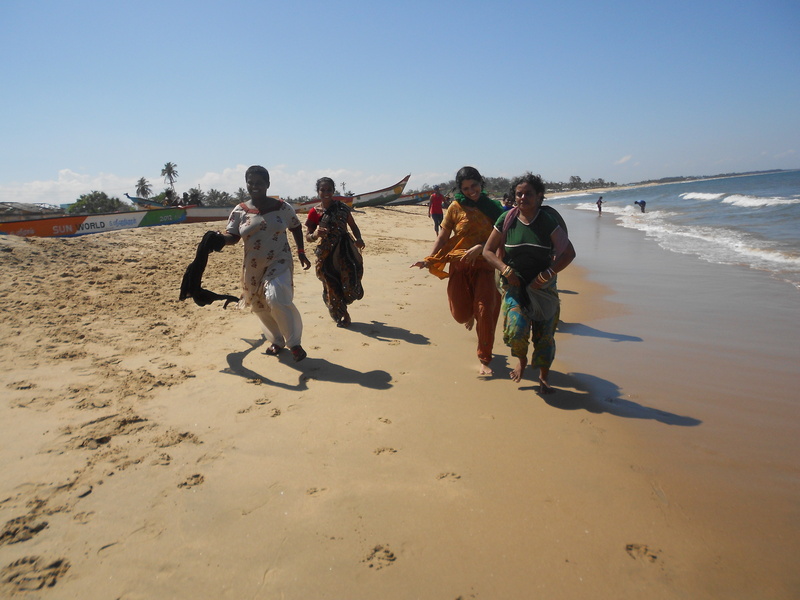 More activity ensued, as the residents started racing each other along the beach. Needless to say, they made the most of the outdoors!! As expected, the ladies were exhausted by late afternoon. Luckily, the staff had organized several nourishing snacks such as cold drinks, and side dishes of channa and cucumber with masala. 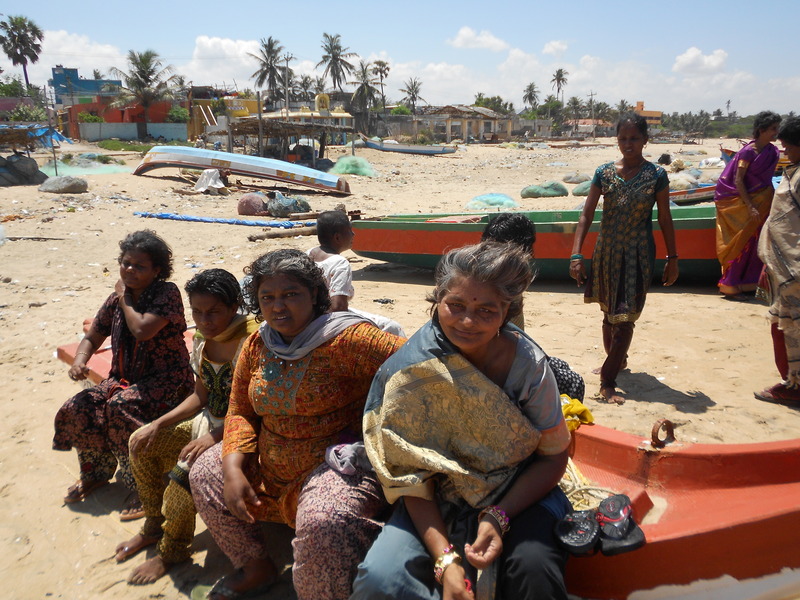 After lounging along the beach for some more time, the group visited their friends in The Banyan’s Protected Community in Kovalam, and ate some hearty chicken biryani for lunch, served with egg. 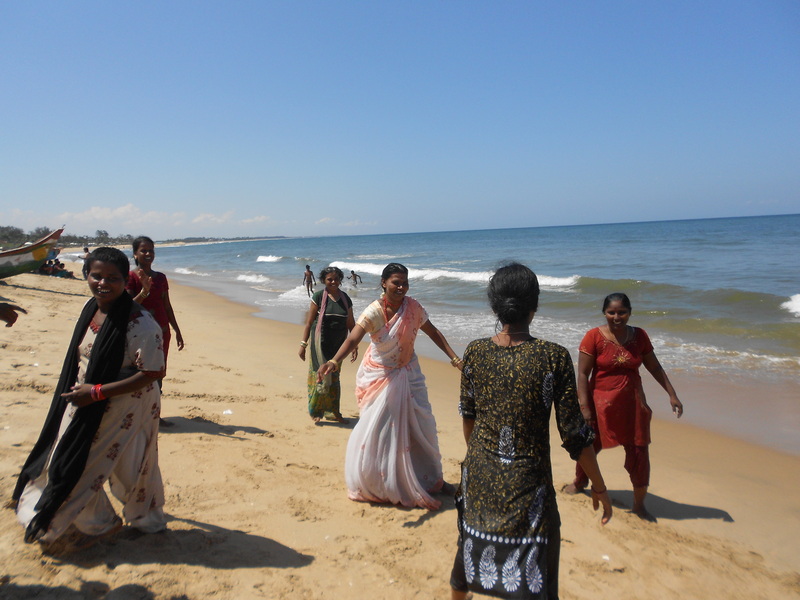 Overall, the clients of Adaikalam enjoyed a happy and contented day! After some more rest and relaxation, the clients and staff headed back on the bus to Adaikalam, relishing the excitement of the day. This outing was graciously sponsored by Rev. Samuel J. Coipillai, Ms. Golda Sahayam, and Mr. Alan Questel. They had heard of our work at The Banyan through a volunteer, and decided to donate. We are deeply grateful and we’re sure that this outing will be remembered by our residents for a long time! The Banyan tries to organise a trip like this once in three months for the residents. It costs approximately Rs.12,000 for the bus, food and snacks for about 40 residents. If you would like to sponsor a trip like this, please contact Ms. Asha Rani – Mob: +919840623811 Email: asha.rani@thebanyan.org, or follow the links below.